Cartoon character vector portrait of Emily the Strange. 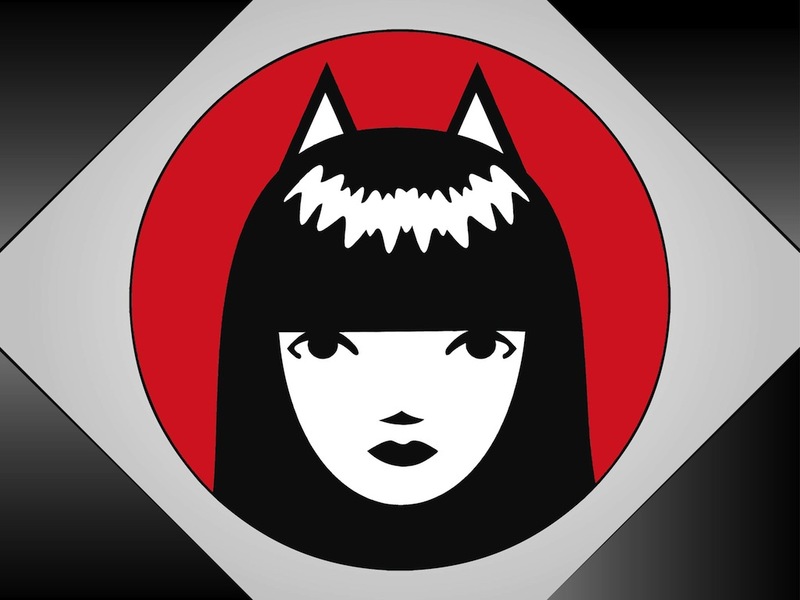 Gloomy teenage girl character with long straight dark hair, pale face, blank facial expression and a pair of decorative cat or fox ears on the crown of the head. Face of the girl placed in a solid color circle. Free vector illustration for all T-shirt print and poster designs. Tags: Cartoon, Character, Comic, Emily Strange, Girl, Icon, Teen.